Bay Area hip-hop troupe the Coup have always been politically-minded, and their new video "Guillotine" is no exception. 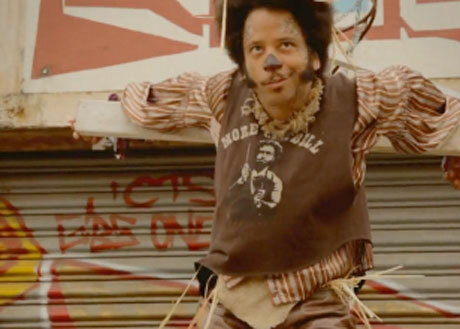 The video, seen below, is set in a real-world Oz, with frontman Boots Riley looking for a heart (get it?) in a post-Occupy Movement world where "they have the bombs, but we have the guillotine." The funky-fresh beat, anchored by the titular refrain, is trademark the Coup, and provides a taste of the band's forthcoming album, Sorry to Bother You. Watch below courtesy of Wired, and catch the Coup on their North American tour. As previously reported, Sorry to Bother You drops October 30 via Anti- Records.